LOCATION.--Lat 41°05'44", long 73°57'50" referenced to North American Datum of 1983, Rockland County, NY, Hydrologic Unit 02030103, on right bank 20 ft downstream from CSX railroad bridge at West Nyack, 1,000 ft upstream from State Highway 59, and 1.0 mi downstream from DeForest Lake. PERIOD OF RECORD.--December 1958 to current year. GAGE.--Water-stage recorder, stop-log control, and crest-stage gage. 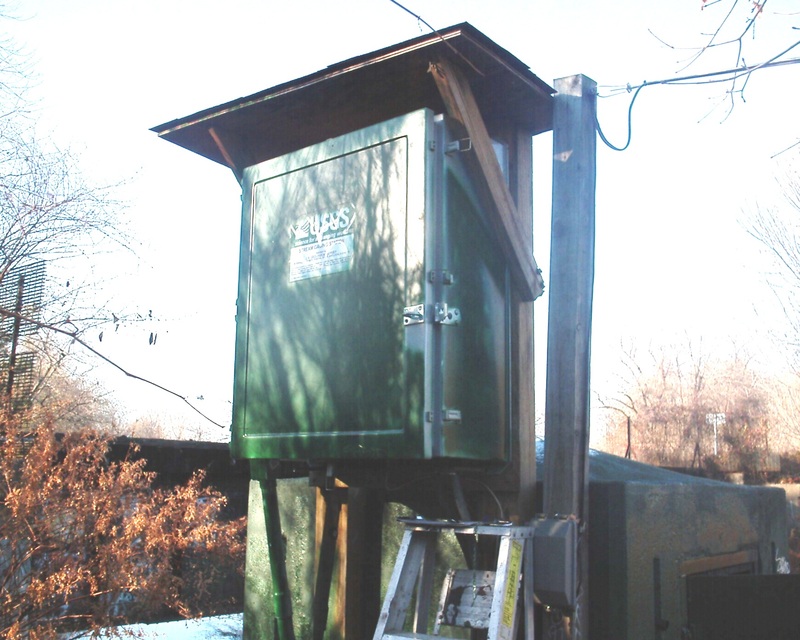 Datum of gage is 53.50 ft above NGVD of 1929 (levels by Hackensack Water Co.) and 52.53 ft above NAVD of 1988. REMARKS.--Flow regulated by DeForest Lake. Diversion from gaging station pool for municipal supply for village of Nyack. Discharge given for this station represents the flow of Hackensack River downstream from this diversion. At flows greater than about 1,500 ft³/s, undetermined amounts of flow bypass the gage as a result of overtopping of the Klein Avenue Levee 0.3 mi upstream of the gage. EXTREMES FOR PERIOD OF RECORD.--Maximum discharge, 1,740 ft³/s, Sept. 16, 1999, Aug. 28, 2011; maximum gage height, 11.50 ft, Aug. 28, 2011; minimum discharge not determined.